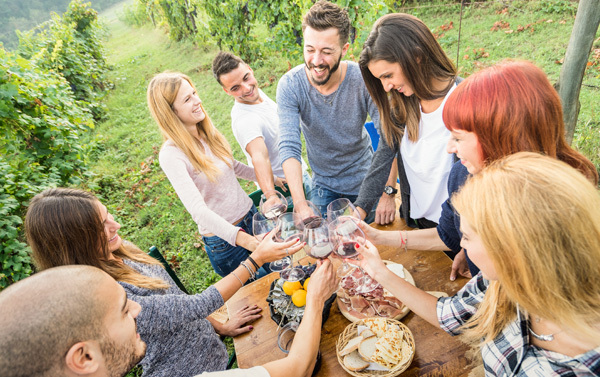 If you want to experience wine country like a VIP with access to upgrades, special deals and insider tips — contact our team at Touring & Tasting Wine Country Tours and start planning your trip TODAY. As the leader in wine tourism for over two decades, no one knows wine country quite like Touring & Tasting. We have literally hundreds of relationships with wineries, hotels, and wine country businesses. It’s our job to inspire, inform, and help you discover the best of wine country. And now, our new Wine Country Tours provide you with the opportunity to experience wine country with us like a VIP. Our team has the knowledge and expertise to help create the wine country experience of your dreams. We’re ready to take you to Napa Valley, Sonoma County, Lake County, the Bay Area, Lodi, or the Livermore Valley. Whether you're a first time visitor to wine country or a frequent guest, we’ll surprise and delight you from start to finish. We’re all about authentic, warm customer service. Anyone who’s ever met Hardt will tell you he’s one of the friendliest people they’ve met. Having lived in wine country and the San Francisco Bay area for over 37 years, Hardt takes great pride in sharing his part of the world with visitors and making everyone feel like a VIP. After retiring from a career in public service, Hardt has worked in the tour business for 10+ years gaining priceless knowledge and wine insider connections. 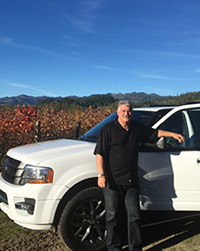 Pair Hardt’s personal knowledge of wine country with the special perks, upgrades, and enhanced experiences provided by Touring & Tasting, and we guarantee an unparalleled experience in wine country! From world-renowned wine regions, to the Pacific coastline, to majestic redwoods, or a day in San Francisco, our goal is to make sure you experience the very best of wine country. We’ll take the work out of planning your trip, including booking accommodations, making reservations at wineries, booking restaurants, activities and more. Or, if you have some bucket list places already in mind, we’ll fill in the rest. Touring & Tasting Wine Country Tours offer extremely competitive rates and a consistently superior experience. FREE custom quote — Contact us today! Let us help you discover and experience the very best of wine country. Follow the link below to answer a few simple questions and a Touring & Tasting team member will be in touch very soon. No obilgation to book. Touring & Tasting respects your privacy and protects your information. Want more details? Give us a call or check out our FAQs page.